An original story by Michael Rosen, inspired by the Charles Dickens classic Oliver Twist. Shona is moving house because her dad's lost his benefits. 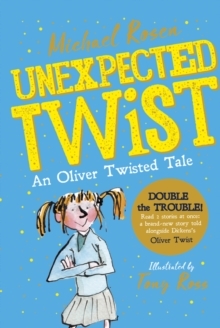 At her new school, she finds that keeping out of trouble isn't easy - just like for Oliver Twist, in her English class readings. After Shona is unexpectedly given a mobile phone, she begins to suspect there's something dodgy about the boys she's met. Some gifts, she comes to learn, aren't exactly free.